Madix understands the needs of toy and game stores. 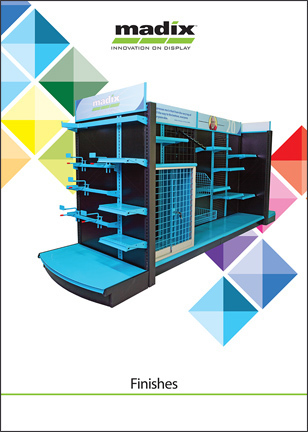 A leading innovator in the store fixture industry, Madix has a history of successfully helping retailers solve their merchandising challenges. Lighten up the sales floor with Madix's specially designed lighting products. LED lighting solutions draw attention to merchandise that is certain to brighten your shoppers' mood to buy. Create impactful displays that stand out, using LEDge and BEAM lights. Madix's lights emit virtually no heat or UV rays, and they have a specially designed lens that optimizes light distribution. Create the ultimate in-store experience with Madix's dynamic shopper marketing solutions. With interesting displays, Madix helps retailers create excitement, encouraging shoppers of all ages to stop, look and purchase the merchandise you most want to sell. Utilize print and digital signage to add color, sound, and life to your fixtures. Dress up ordinary fixtures with new finishes that complement your stores' ambiance.